Hi friends! I hope you're having a great day! It is hot hot hot here so we just stayed at home today and my friend came over for lunch then we baked some cookies. 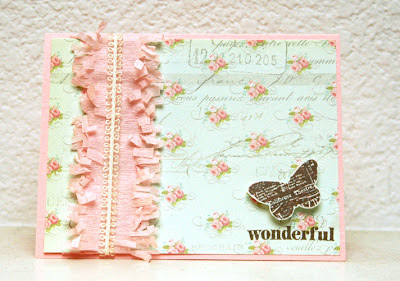 Today, I'm showing a card made with one of my older Paper Made Bakery kits called Portobello Road. I love this kit! It really speaks to me and my love of vintage. I don't ALWAYS do vintage on my blog but I do LOVE it a lot. 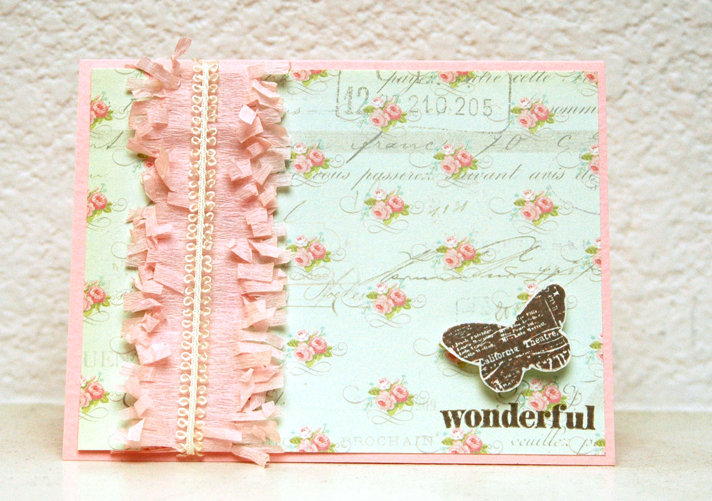 The papers and stamps are from Pink Paislee. The ribbon is May Arts.